As the newest member of the Windibank Auctioneers team (I started in August), I’ve been asked to say a few words about our auction on the 13thof September.It was the first auction I’ve ever worked at and it was one of the biggest auctions Windibank has had for a few years. We had 1200 lots in September’s event and sold over 80% of the items.In addition to the dozens of people in the sale room at any given time, we processed scores of commission and telephone bids. 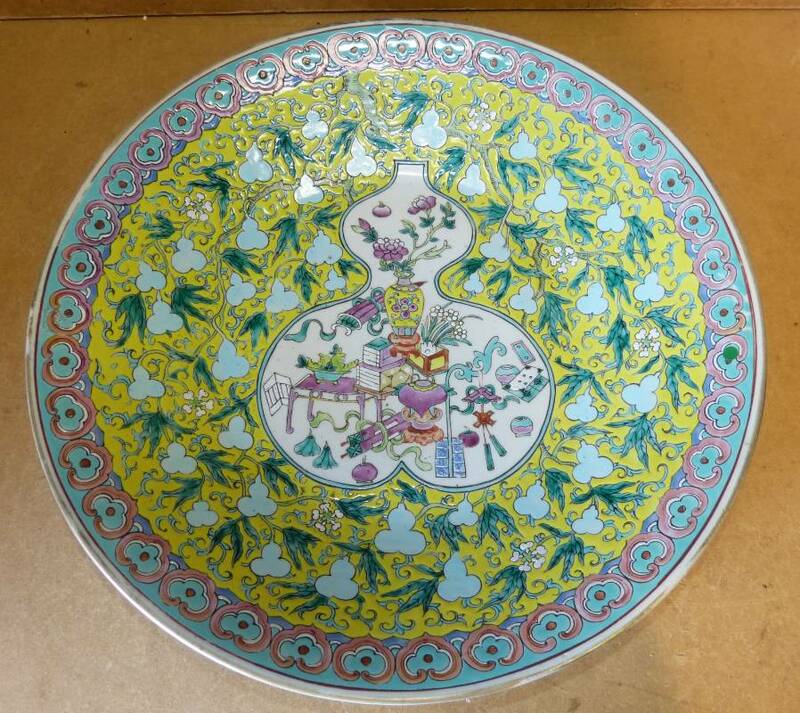 Among the highlights of Pottery, Porcelain and Glass was a hotly contested Chinese charger with a yellow and turquoise background (lot #169) which went for £460.Also going above estimate were several lots of Chinese vases (Lots # 39, 40, 41, 43) selling for £275 - £350.But the big surprise from this category was Lot # 210 the set of WH Goss china vases emblazoned with heraldic shields and labelled “International League of Goss Collectors”.Even with a hairline fracture to one of the vases, the set drew commission bids and telephone bids from many quarters and went for £920. 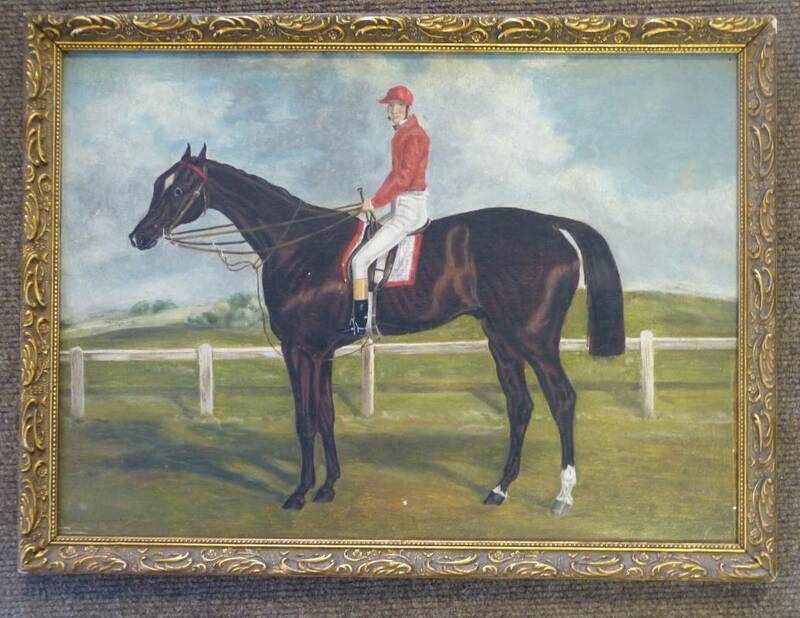 In Paintings, Lot# 323—a Sidney S. Morrish oil on canvas , “Harvesting—sold for £375 and an unsigned oil on panel painting of a jockey and racehorse brought in £230. The Silver and Silver Plated category saw a Hung Chong and Co Chinese Silver-Coloured Metal Cocktail Shaker with an embossed dragon selling for £560. An Arnold Charles Frodsham, London 18ct Gold Half Hunter Pocket Watch with white enamel dial sold for £1550. Two lots of credenzas (numbers 1158 and 1185), both Victorian, both walnut went for £900 and £720 respectively. I’ve been to auctions before, but only as a buyer and spectator.And of course I watch the auction shows on television.But not even years of watching Bargain Hunt could prepare me for how genuinely exciting, engrossing, and exhausting the behind-the-scenes activities are.From learning how to enter commission bids into the software system, to taking telephone bids (I was so happy when my phone person would get the item! ), to trying to stay out of the way of the incredibly hard-working porters (which I didn’t do very well—sorry guys), to all the incredibly detailed record-keeping that attends the auction, I had a fabulous 12 hour day thanks to the support and guidance I received from my more experienced colleagues.I think I’ve definitely caught the auction bug and am really looking forward the next Windibank auction on October 25.